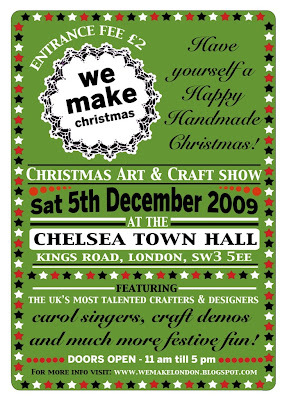 Next Saturday - the 5th December - I'm taking part in the We Make London Christmas Fair at Chelsea Town Hall on the Kings Road. I think it's going to be a brilliant event, there are going to be all sorts of super artists/designers/makers exhibiting, and an illustrious list of sponsors. Do come along if you can! !